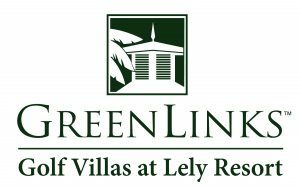 GreenLinks Golf Villas is a hotel situated within Lely Resort Golf and Country Club. GreenLinks offers 2- and 3-bedroom villas for nightly rental with full kitchens, washer/dryer, screened lanai and free Wi-Fi. GreenLinks sits on 2 golf courses, Flamingo Island GC & Mustang GC. Quiet and beautifully landscaped, the resort amenities include heated swimming pool, Jacuzzi hot tub, fitness center, tennis, bocce, shuffleboard and pickleball. The signature restaurant, Sam Snead’s Oak Grill & Tavern is open every day for lunch and dinner.